For centuries Cranmere Pool has been a Mecca for Dartmoor walkers and for those who do not know what to expect it can be something of a disappointment. But if the actual features of the pool are ignored and one views the surrounding landscape one can experience the true sense of Dartmoor’s remoteness and solitude. Within a radius of about half a mile of the pool you have the sources of three main Devonshire rivers: the West Okement, Taw and East Dart. It is always amazing to see a steady trickle of water oozing out of the peat and then to think of the wide river mouths further on down the county. For many, many years walkers have used the military road to gain access to Cranmere Pool, by parking at OP15 it will save a good few miles of trudging. Now the Duchy of Cornwall are going to close the road to all traffic which will mean an extra 8 or so miles of walking for anyone wishing to visit Cranmere. 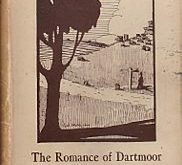 I say the Duchy are going to close the road but it seems that they are taking the full blame for this, the Dartmoor National Park Authority and the Dartmoor Preservation Society are both in total agreement with this plan. This is fine for the fit and able hiker but what about those less fortunate? There are many people that regularly visit Cranmere Pool who simply will not be able to cope with the extra distance which effectively means it is no off limits to them. When you get there, to see? An old and shabby letter-box. I wandered by its side. I ne’er had seen before. And so at length to Cranmere Pool ! Was mirrored there for me. On the shore at either side. Flowing swiftly on its way.